Ricardo started his Buddhist practice in the early 80’s with Zen (Soto Zen and Korean Son) and Jodoshin (Pure Land), beginning at the same time studies in Psychology, Comparative Religion and Religious Symbolism in the city of Sao Paulo, Brazil. Later on, he moved to USA in order to deepen his practice in Zen/Jodo, but while there a revealing encounter with the writings of Thai Forest teachers made a turn in his focus towards Theravada School, further enhanced by an encounter with Venerable Maha Ghosananda and Satya Narayan Goenka. Starting to practice vipassanā, Ricardo met Shinzen in 1987 when he lived in the Community Meditation Center in LA, and kept in touch with him and the progression of his writings and thoughts. Back to Brazil he started the Nalanda Center for Buddhist Studies in Belo Horizonte, now with other affiliated groups around Brazil. Besides working with Psychological Counseling and directing and teaching at Nalanda Center, he is also dedicated to publish Buddhist books (translating and writing) and helping organizing retreats and meditation courses with foreign teachers. In 1999 he began the establishment of Nalandarama Retreat Center, a rural place dedicated to meditation retreats and investigation of Dharma. He has been teaching Buddhist philosophy and meditation in Brazil and Europe, as well as participating and speaking in a number of international congresses in the past thirty years. He is also a certified Dharma teacher and Lay Buddhist Minister in the lineage of Rev. 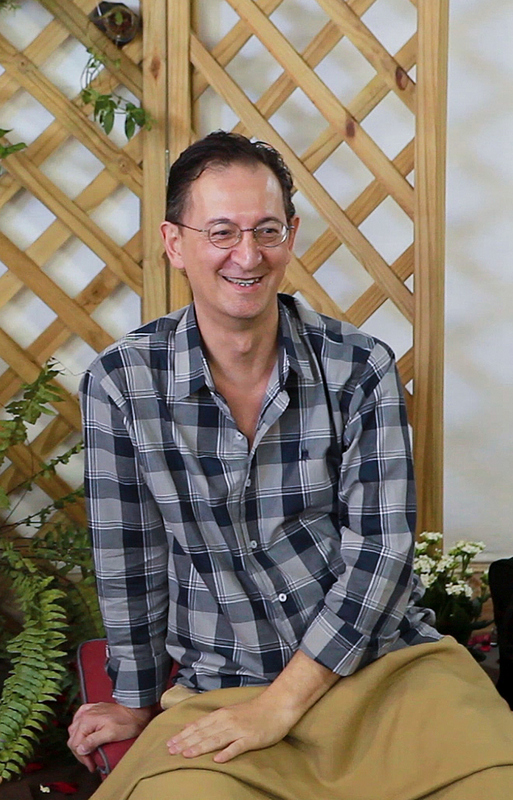 Gyomay Kubose in Mahāyāna tradition, and is also the pedagogical coordinator of NUMI – Nucleo de Mindfulness of Belo Horizonte, Brazil, a center dedicated to secular mindfulness.